Home Insights Why Africa’s Fast Urbanizing Cities Should Think Solar? The United Nations (UN) projects that urbanization rates will continue to increase in Africa, reaching 60% by 2050 from a mere 15% in 1960. This is both an opportunity and a major threat, depending on how African leaders and city administrators confront it. Rapid urbanization typically strains infrastructures such as transport systems, education facilities and basic amenities such as electricity and water supply systems. 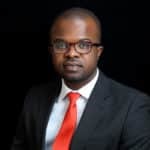 However, one of the major challenges facing African cities such as Lagos, Johannesburg and Nairobi is the environmental impact of rapid and uncontrolled urbanization. This makes a strong case for wider modern and clean energy use. On closer examination, it’s evident that the rapid expansion of off-grid solar in the continent could be mainstreamed in any plan or program for limiting the environmental impacts of fast urbanization. The carbon footprints of a typical household in Africa include the greenhouse gas emission arising from the continuous use of electricity generated from coal, natural gas or oil. While there are several other sources of carbon emission such as transportation systems and waste disposal; off-grid solar power provides an easy replacement for dirty electricity – especially because rooftop solar has an economics that could be optimized for low and middle income households. 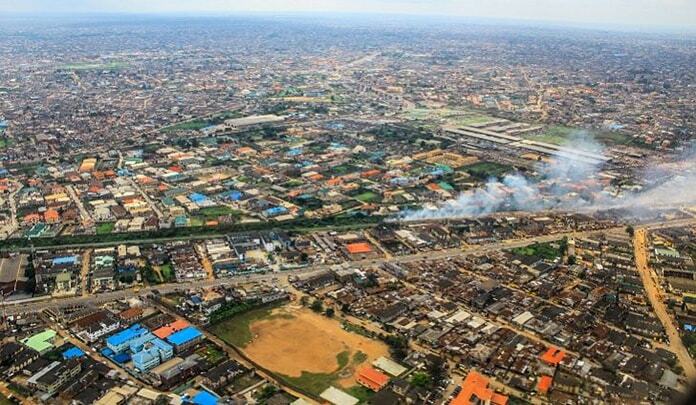 Lagos, one of Africa’s largest cities with a very fast rate of urbanization has estimated 9 million households. All of which qualify for a household capacity rooftop solar installation. With an average of five (5) persons per household in urban Nigeria and CO2 emission per capita of 0.48 metric tons in Nigeria; migrating 9,000 households from fossil-sourced electricity to off-grid (rooftop or decentralized) solar power sources will have a very meaningful environmental impact. This makes a strong case – from an environmental perspective – for a properly structured solar power adoption scheme in African mega cities. As city administrator march toward the projected urbanization boom of 2050 in Africa, strategies for mainstreaming and wide scale adoption of off-grid solar should be considered. There are many channels for achieving that. Wide spread advocacy for increasing consumer awareness of (off-grid) solar power in urban centers coupled with the structured development of solar skill acquisition programs and centers where solar-value chain entrepreneurs can equip and enhance their capacity. City-driven financing schemes (distinct from National programs) that empower households with credit or loans that can support energy expenditures should be deployed along with complementary schemes that enable solar value chain entrepreneurs (small and medium sized) to raise the needed small capital to launch and grow their businesses. This will create a seamless chain of both suppliers and users of household solar equipment. Apparently the benefit of a city-planned solar access initiative is beyond the positive environmental impact, since it is also capable of delivering real economic growth and poverty alleviation benefits. However, the possible economic/environmental gains cannot be realized without concrete plans and they will become even more difficult to implements as the city expand. 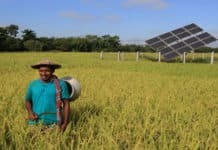 The International Energy Agency’s 2017 report on renewables says that off-grid solar will “bring basic electricity services to almost 70 million more people in Asia and sub-Saharan Africa”. Since urbanization rates are expected to continue to rise in the medium to long term, and the challenges facing Africa’s main grid proving even tougher to solve many countries. The seeding of an off-grid solar power culture in today’s urbanizing cities will make solar power use very entrenched in future household. 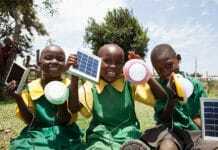 While off-grid solar power has a procurement dynamics (relatively higher initial capital outlay and small ongoing expenditure) that may be of concern to small and middle income households, they are proven to deliver tangible benefits for small businesses and household through the availability and reliability constructs. City administrators only need to tap into the already growing momentum for off-grid solar and create a unique solution that will support the anticipated problems of urbanization. 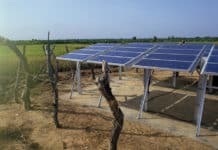 While off-grid solar cannot pass as an absolute replacement for grid-scale energy access infrastructure and systems (both solar and fossil), it does qualify as an energy access frontier that can be effectively micromanaged by city governments for several benefits. Other viable emission sources such as transport may be harder to arrest, since huge sums of money would be required to overhaul legacy, emission prone transport systems and infrastructure in the continent. A situation made worse by the anticipated increase and greater necessity for mass movement that would follow city population growth and urbanization. Currently, off-grid solar adoption by households and small businesses is growing in the region but the gap remains wide, with respect to a larger number of grid-reliant households. 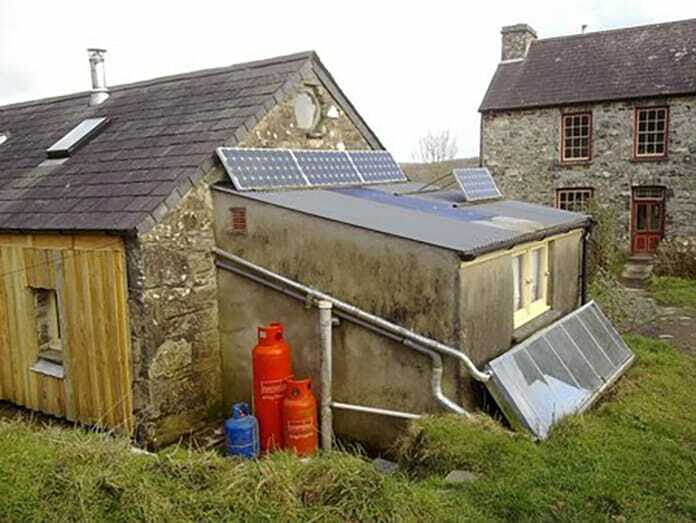 A recent report suggests that off-grid capacity will almost triple by 2022 – reaching more than 3,000 MW from industrial applications, solar home systems, and mini-grids. A 2016 GTM Research report (U.S. PV System Pricing H2 2016: System Pricing, Breakdowns and Forecasts) showed that solar prices will only continue to fall as price reductions spread to inverters, trackers, and even labor costs.